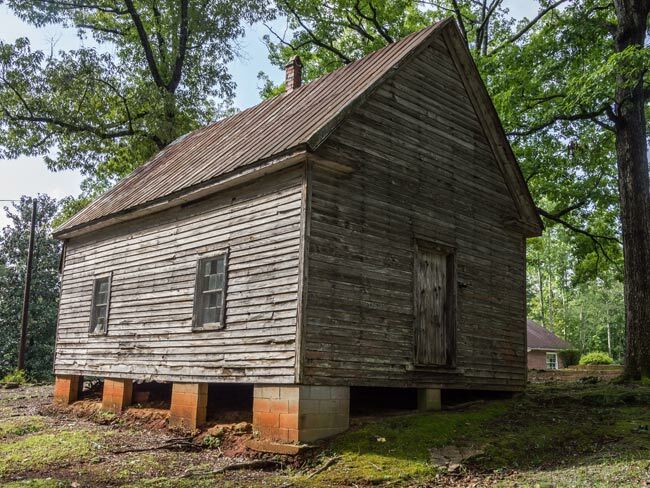 Cool Springs Primitive Baptist Church was organized near Travelers Rest around 1830. 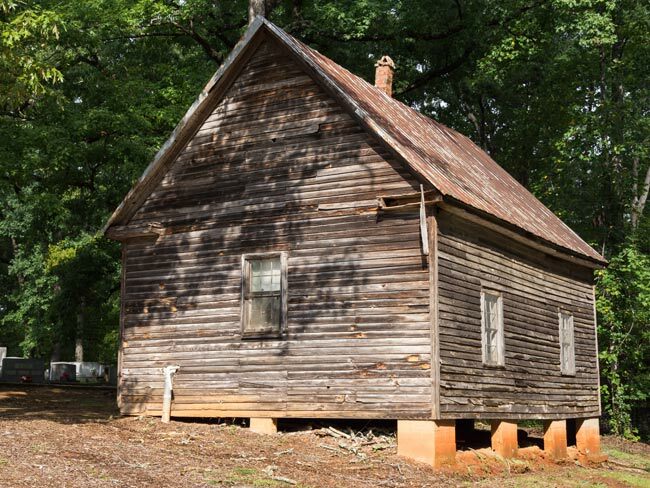 By 1840 this simple structure was erected for the congregation’s gatherings. The frame structure was typical of churches in the Primitive Baptist tradition during the nineteenth century. 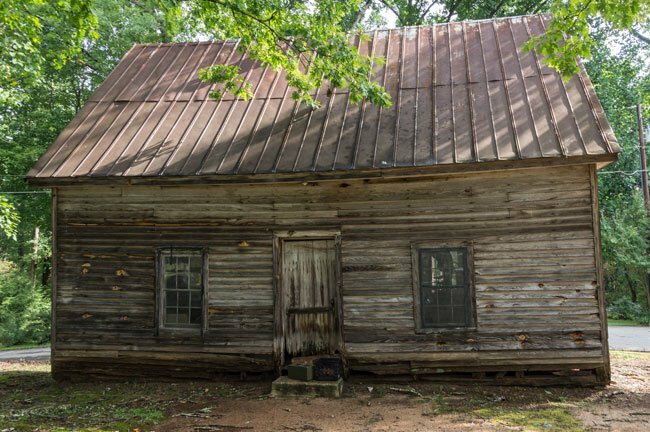 It has been minimally modified over the years out of necessity; the weatherboard building stands on a foundation of concrete block and is covered with pressed seam sheet metal. It housed the church until 1956 when a newer, but still simple, brick sanctuary was built next to the original church. 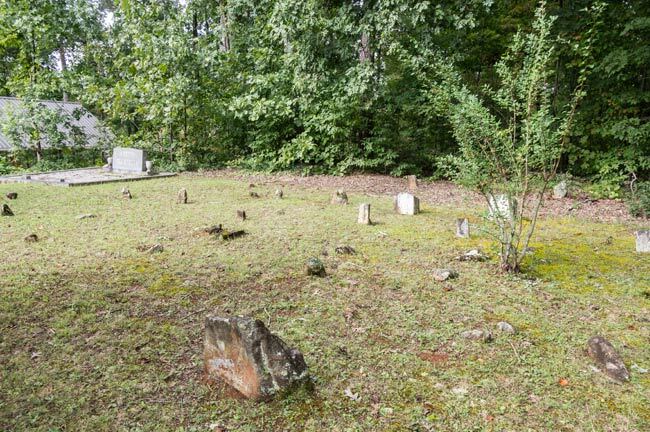 Primitive Baptists belong to a denomination that began spreading across the South in the early nineteenth century. The deeply conservative group originally differed from other Baptist traditions in its belief that church members should not associate with benevolent societies or become involved with mission work. Primitive Baptists are associated with Calvinist beliefs of predestination and trace their roots back to the New Testament. The denomination worships with a capella singing in adherence to New Testament practices, among other traditions. Below are some images of the church, including its graveyard, where several burial sites are marked simply with stone. Hello, the only information we can find online is the information in this link, which does not include a phone number but does include several names and a mailing address, hope this helps! What are meeting times and days? Need a working phone number. May be interested in attending, last visit was in 1983. Very good pictures, but almost no way to contact.